Wicked witches, no less. To make up for her wicked heritage, she makes matches. The kind of matches that last forever. True Love is her gift, so how could Lexi possibly be wicked? Not that it matters anyway, if Lexi doesn’t find her magic before midnight on her next birthday, she will never be a true witch. Mackintosh Kent, Kin to his friends, wants to break Lexi’s dating dry spell. Too bad he has a gaggle of female groupies hanging off every note he sings. It’s almost as if he draws women to him by magical means. Lexi refuses to be one of the crowd. Besides, she lives with three faerie godmothers who don’t always get along. Who wants to take a man home to that? With the Beltane celebration—and her magical deadline—looming, Lexi is running out of time to take command of her magic heritage and figure out what’s behind Kin’s spell before it’s too late. 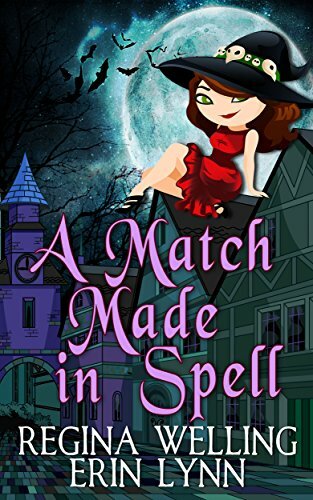 The Fate Weaver series featuring the enchanting Lexi Balefire, matchmaking witch, has elements of mystery, romance, and the supernatural. Take a walk on the lighter side of urban fantasy—all the fun, but less of it between the sheets.